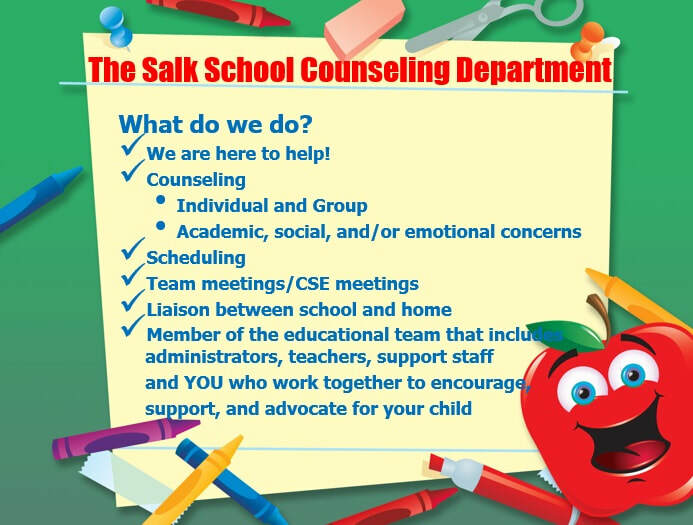 Whether you are not sure where your classroom is, you do not know how to join a club, or you are having trouble with your locker, there are MANY adults at Salk Middle School that are willing, ready and able to help! ​Who can you ask for help? The list is really long! Ok, now that you've met some of us, let us explain what we do in the Guidance and Counseling Office! The Guidance and Counseling Office is the place to go if you lose your schedule or have questions about it! Our counselors and secretaries can help you, just stop by! Our office is located next to the stairs, near the main entrance, across from the Little Theater. If you have a class but urgently need to stop by with a question about your schedule or anything else, we will give you a late pass to class which means you are permitted to go to that class a little late. A late pass to class from your counselor will not count towards detention. 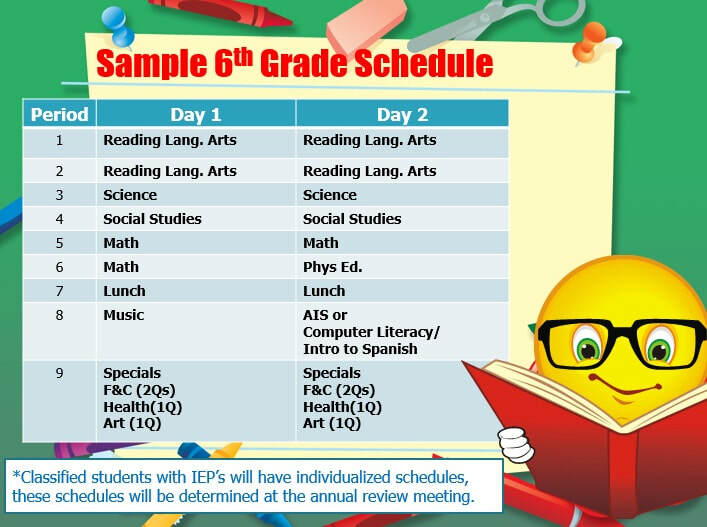 We have 9 periods at Salk and we also alternate between day 1 and day 2. Some classes meet everyday (Math, RLA, SS, Science, Specials, Lunch), while others might only meet on day 1 or day 2 (Phys. Ed., all 6th grade Music classes, AIS Reading, and Computer Lit/Intro to Spanish). Please see below for a sample schedule! This is important! 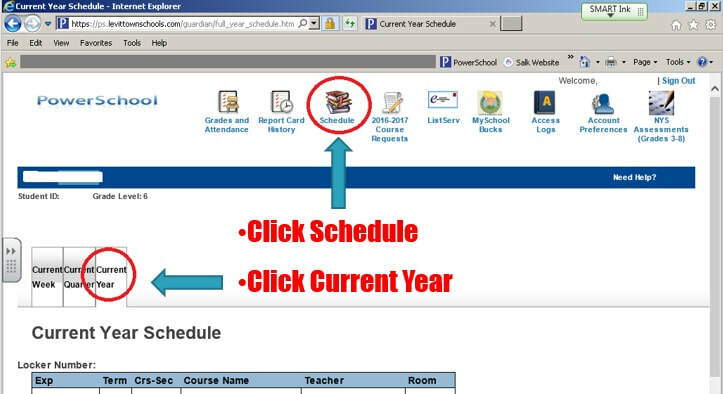 The least confusing way to print your schedule from Powerschool is by printing the "Current Year Schedule". See below for instructions. Just trust us on this one, we don't want to bore you with the reasons why! 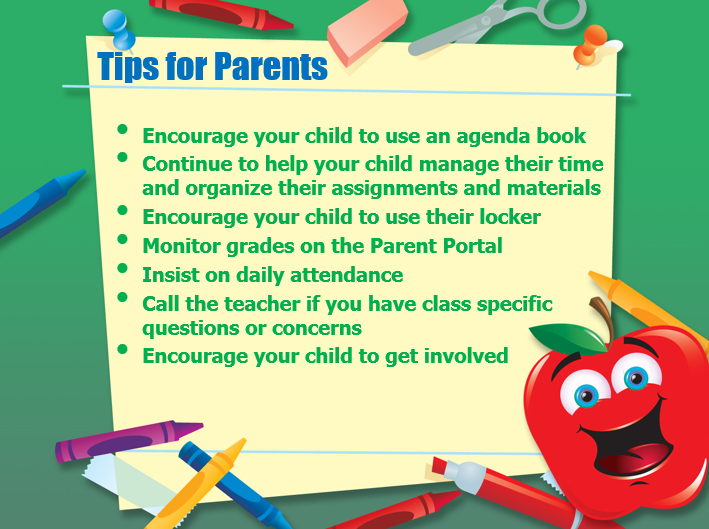 For Parents: A Few Tips! 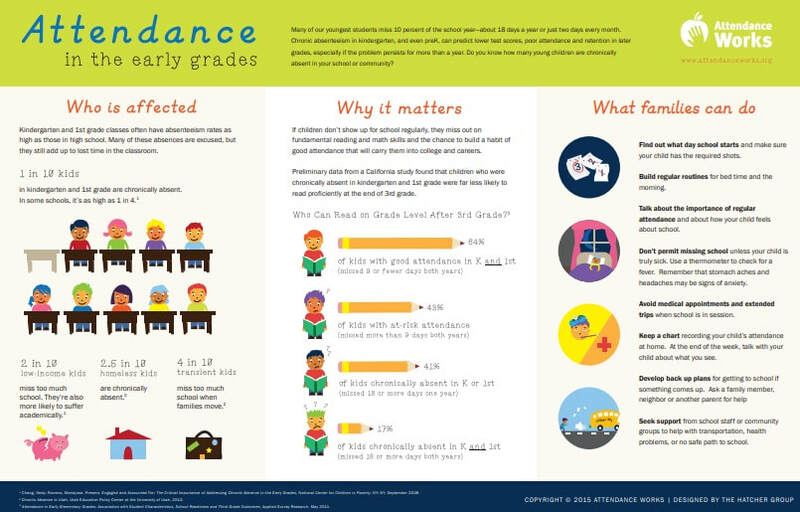 Good Attendance- Why is it Important to School Success?